Located upriver 3 kilometers from the sea, The Chinese, Japanese, and many other countries used this port over the centuries for not only trade, but settlement. At one point, the city was divided with the Japanese on one side of a small inlet and the Chinese and indigenous people on the other. They were linked with what today is called the Japanese Bridge. 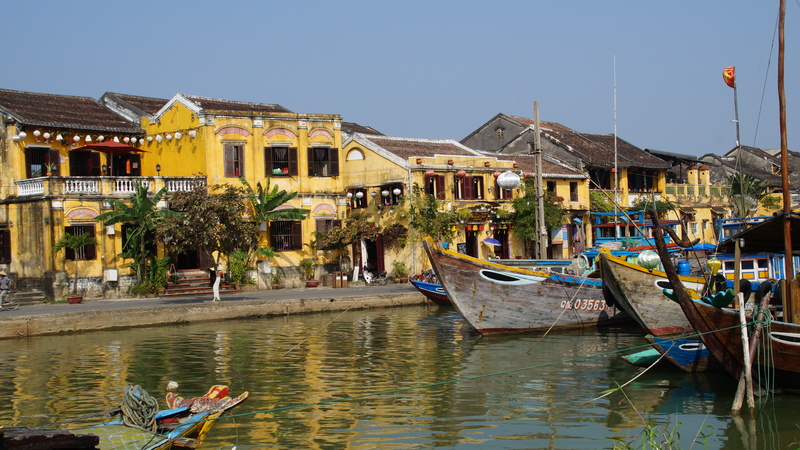 Hoi An was one of the biggest shipping ports in Southeast Asia for more than a millennium. It also was the business center of both the Champa Empire and later the Nguyen Dynasty. The collapse of the Nguyen Dynasty in the late 1700s lead to the commercial center of Vietnam being moved to the French-operated port of Da Nang. With commerce moving 30kms to the north, this presaged the winding down of development and progress in Hoi An. 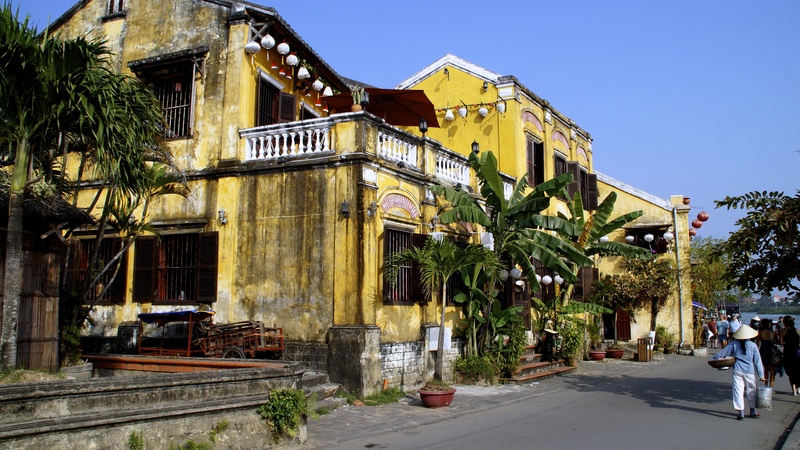 Over the next 50 years, Hoi An was largely treated like an undesirable relative…everybody knew it was there, but it didn’t get much nurturing. Thus the architecture and flavor of the town from the mid to late 1800s is still present in what today is known as the “Ancient City” or the “Old Quarter”. Oh yes, the French were here alright. There is no mistaking that. There is more French architectural influence remaining here than anywhere else I’ve seen in the former French-Asian colonies. It is beautiful. Buildings of not more than two stories line quiet streets. They boast beautiful pillars and balconies and shutters. They all wear the same uniform: dusty yellow paint , white trim, dark wood accents, and are largely in a state of semi-repair. Hoi An roughly translates as “peaceful meeting place”. And it is just that. Even when the tourist-flooded streets and bars are full of twenty-something backpackers, there is nothing over-the-top about Hoi An. The sidewalks roll up pretty early except for a small number of places that serve the hard-core and even then, there is no loud thumping music filling the streets. The buildings in the Old Quarter are solid. Giant wooden pillars and heavy beams of ancient timber fortify these structures and lend a quality of warmth to the interior spaces, which often include courtyards. Stained hundreds of years ago, these dark skeletons also add a touch of mystery and a feeling of the Orient. As woodcarving has long been a highly valued trade in the Hoi An region, the buildings are often liberally adorned at the joints, staircases, balustrades, and doorways. 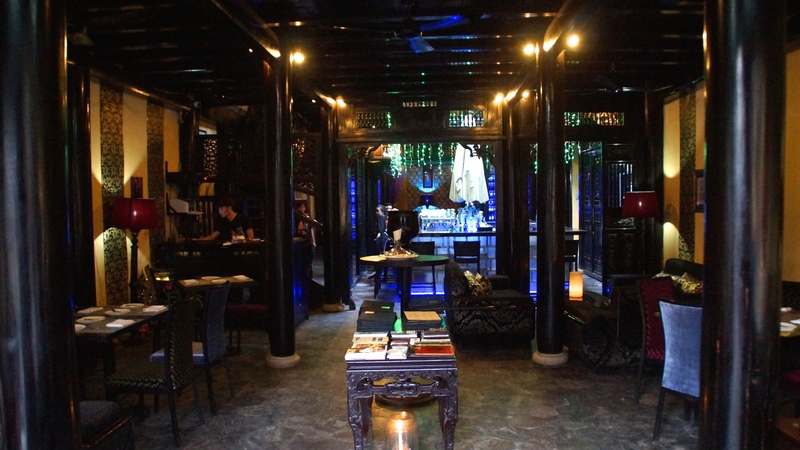 Cafes abound in Hoi An. 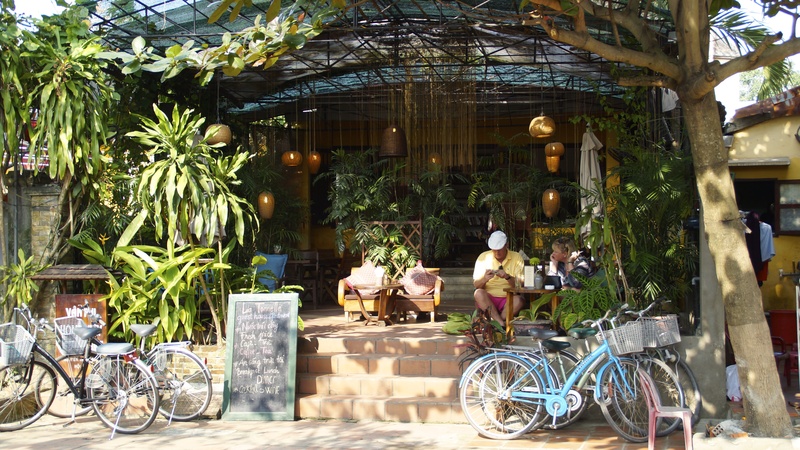 Yes the Vietnamese have a love affair with coffee, but its more than that here. It’s the inclusive nature of the spaces into which they are built that simultaneously feel exclusive. It’s the way a space can feel both casual and formal at the same time. It’s the way one feels special and anonymous. It’s the vines that hang from the terraces, the worn stone in the plazas; it’s the history. If you are a people watcher, the café scene here will satisfy your voyeuristic soul. 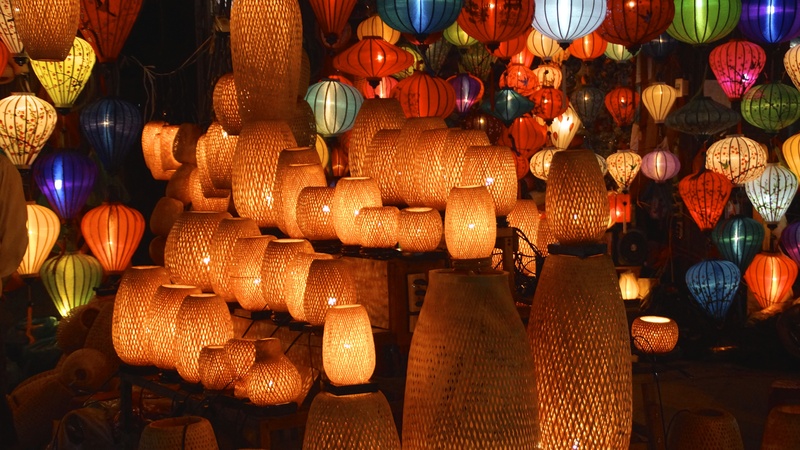 But the real magic of Hoi An, sometimes called the Lantern City, only shows itself at night. The Old Quarter is even more beautiful under these lanterns, soft lights, and (faux) gas lamps. It dances on the river, adds to the romanticism, duplicating the subtle hues in its gentle ripples. There are very few fluorescent or halogen lights in use and the random shops that have them stand out as glaringly obnoxious. 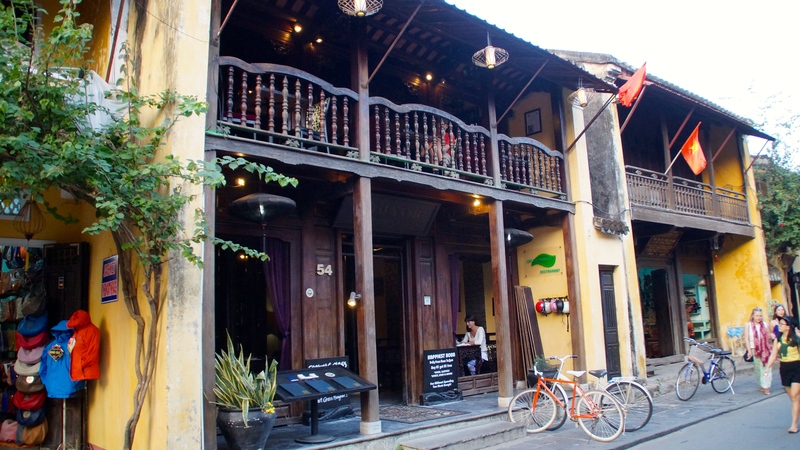 The biggest tourist attraction in Hoi An is the bespoke tailoring business. It’s Vietnam’s answer to Saville Row or Tsim Sha Tsui in Hong Kong. On some streets, like Le Loi, you can find ten or more tailors side-by-side. And the sewing shops can be found several streets away also stacked one next to the other. Dresses can be bought for $6US and upwards, men’s suits from $40 and up. Shoes are another large custom-made business here. A pair of hand-made leather sandals will cost you $10US, and a nice pair of fancy dress shoes or heels $30US. I love that the old town is blocked off to motorized vehicles in the afternoon and evening. This is yet another example of how the Vietnamese government (or UNESCO pressure) are preserving this town’s unique attributes and gentle nature. This is a town for lovers. 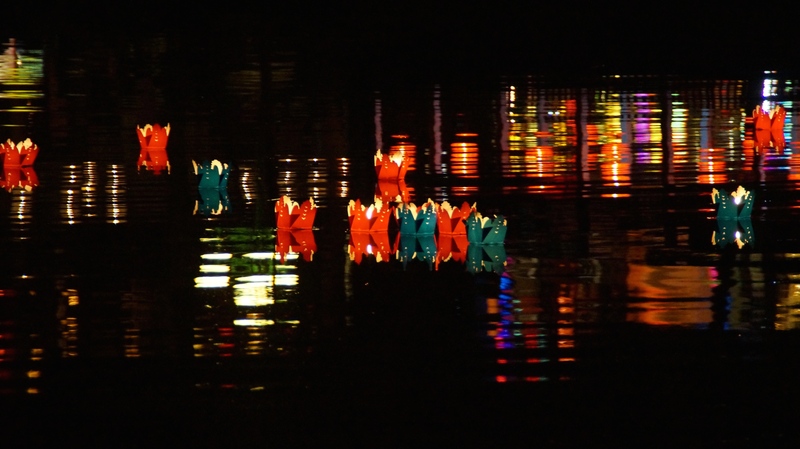 Beach, spa, or bike ride by day, excellent dining options in the evening, a stroll amongst the lanterns at night, perhaps floating candles down the river and making private wishes. The beach here is called Cua Dai. 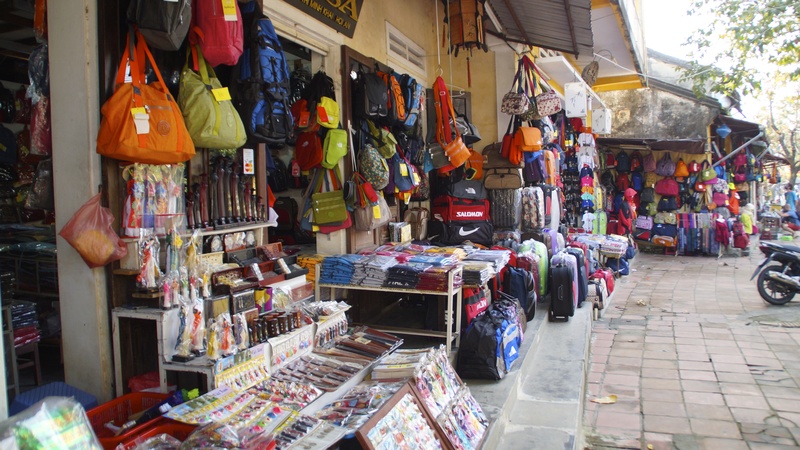 It can be reached from the Old Town by taking (not surprisingly) Cua Dai Road about four kilometers to the East. 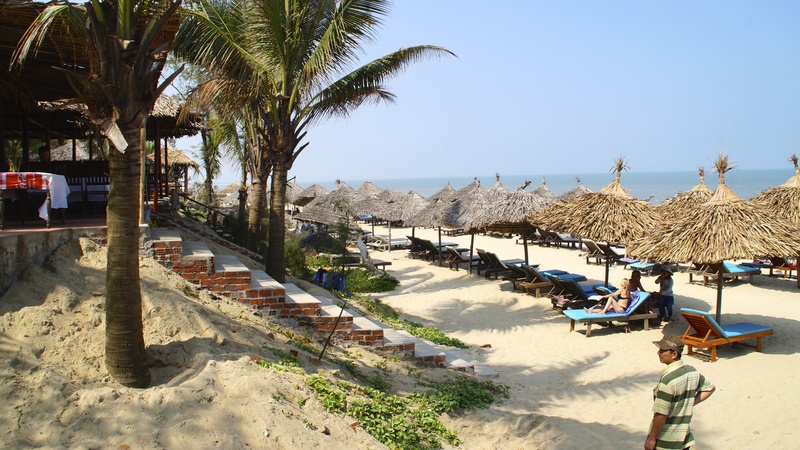 As Hoi An ends at the waterfront, unfortunately, the beach is nearly gone. 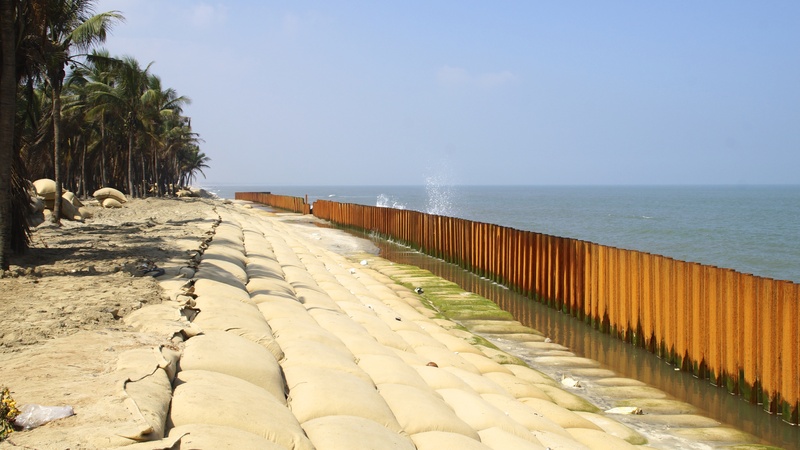 There is an ongoing fight against erosion. Lackluster efforts being made by the government do not seem to be making a dent. But, if you go north three or more kilometers, the beach is much more present. A growing number of restaurants have set up palm-thatched umbrellas on the beach. You can sit in their lounge chairs and sunbathe for free if you are eating and drinking. The beach is adequate. There is little current here, and the waves are small. But the water is cold, and the sand a bit too granular for my taste. As I’ve said before about Nha Trang and Mui Ne , if you’ve come to Vietnam for serious tanning and beach time, head to Phu Quoc. Bicycling is the preferred method of transport in Hoi An. Yes, there are prohibitions against cars and motorbikes in the Old Town, but people use push bikes for other reasons. As a seaside town with no hills, the riding is easy. Everything you probably want to do around town can be reached by a leisurely ride anyway. And it’s great exercise. It’s not Amsterdam ‘bike-crazy’, but it’s close. Bikes can re rented all over town and will cost you $1US per day. Also, there seems to be a different level of pressure from the vendors. There are lots of people selling things (floating lanters, newspapers, bracelets, etc) on the streets, but they aren’t in your face. They actually take ‘no’ for an answer most of the time, the first time. And I had no one try to sell me drugs here either. So this negative aspect of so many other Vietnam tourist hot-spots is much more low-key here. Traffic is light in and around town and people are, for the most part, better drivers than in the rest of Vietnam (I realize that’s not saying much). Many people who would like to sample the experience of ‘motorbiking Vietnam’ have an interesting option here as well. Motorbikes and scooters can be rented in Hoi An and dropped off in Hue (or vice versa). This ride of 125kms will take the traveler through Da Nang and over the Hai Van Pass, the much lauded, scenic coastal mountain road. Several operators in each town offer this service and will even transport your luggage and have it waiting at your hotel on the other end. This will cost you between $5 and $10per day. And aside from my helmet getting stolen off my bike one night, I didn’t see or hear of any other crime while I was here. 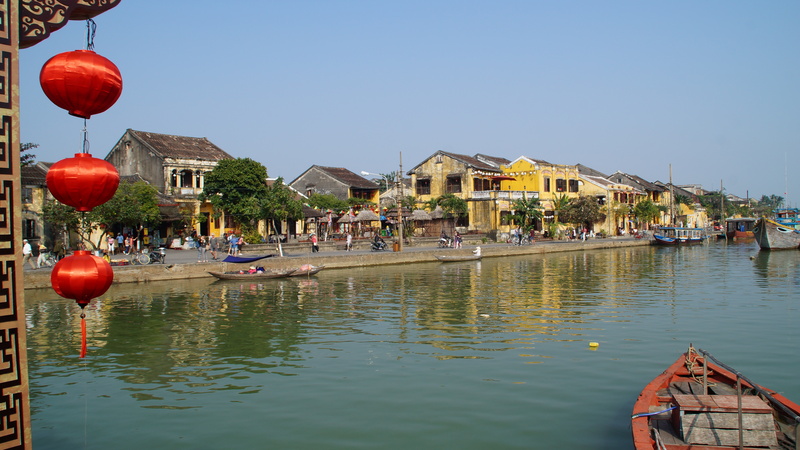 There are a few places I think deserve special mention and are worth your consideration as you wander through Hoi An trying to decide where to go and what to do. Green Mango – located on Nguyen Thai Hoc between Le Loi and Hoang Van Thu – They have excellent food, an inviting atmosphere, diligent staff, an amazing wine list (by SE Asia standards), and a dazzling array of cocktails on the menu. On one night I had the Symphony of Rolls, described as five different kinds of rolls; I got six (smoked duck, beef, spiced pork, mango prawn, deep-fried pork, and seafood). It was a meal in itself and for 140,000 Dong ($7US) and an incredible bargain for genuine gourmet food. On another evening, I had the Pan Seared Foie Gras ($8US) and the White Truffle and Seafood Taro Gnocchi ($10US). The menu also features lamb, duck, venison, beef, chicken, pork, pastas, seafood, and pizza. I highly recommend the Green Mango for either food, drinks, or both. 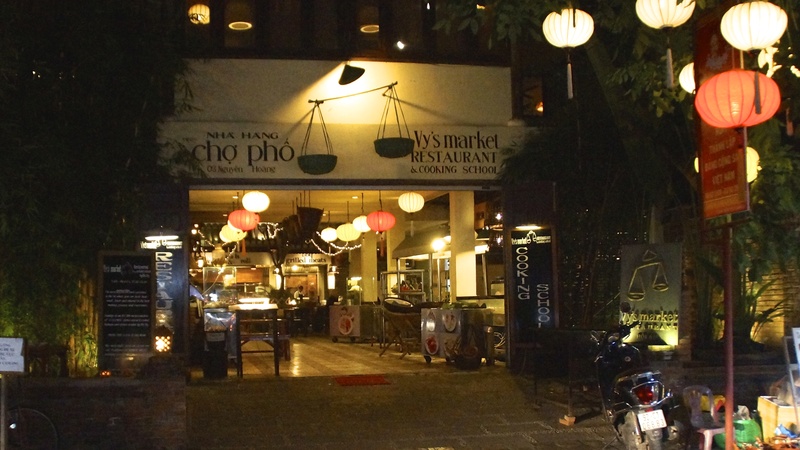 White Marble – located on the corner of Le Loi and Nguyen Thai Hoc – White Marble is a wine bar. They have food and an extensive wine list, another wonderful SPECT of French culture left in the wake of colonialism.. The Last Great Taste also offers a wonderful suggestion list (cheat sheet) of 100 Foods to Try in Hoi An. 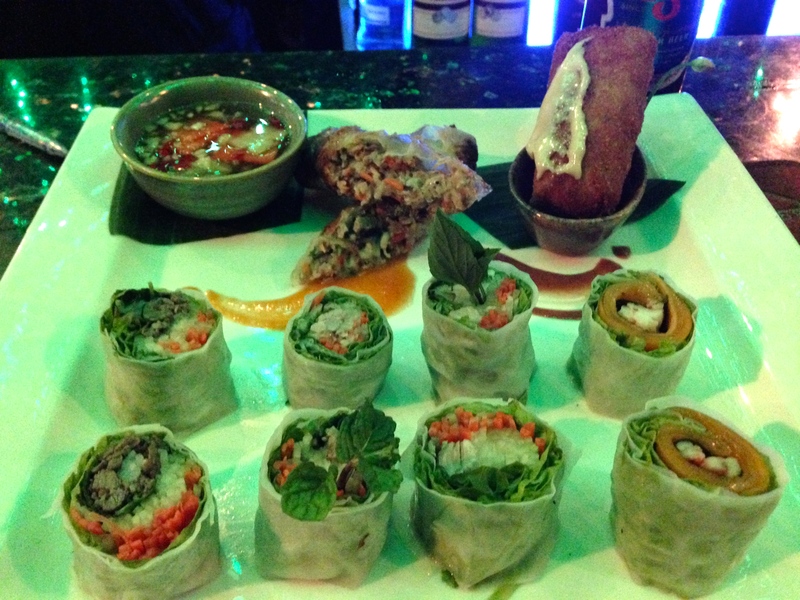 Another great way to expose yourself to Central Vietnamese cuisine is by dining at the Vy’s Market Restaurant. The have a buffet dinner with more than 50 items available nightly. They also offer a cooking school during the day and which provides further insight into the food of Vietnam. As always, there are aspects of any town that did not appeal to me. 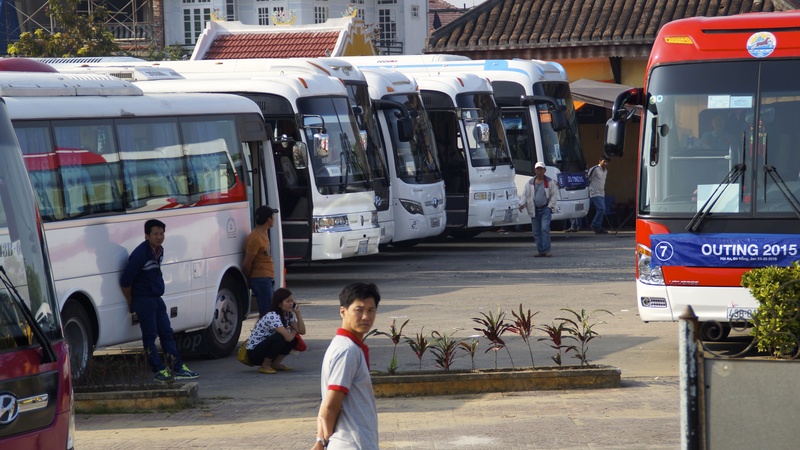 In Hoi An, at the top of the list are the Tour Busses that queue up outside the Old Quarter and vomit steady streams of visitors into the streets. Also, Hoi An boasts such a lovely collection of buildings and warm streeets, however, they are largely filled with crap. I wish there was a UNESCO rule that prevented business in such a setting from selling trinkets and trash. 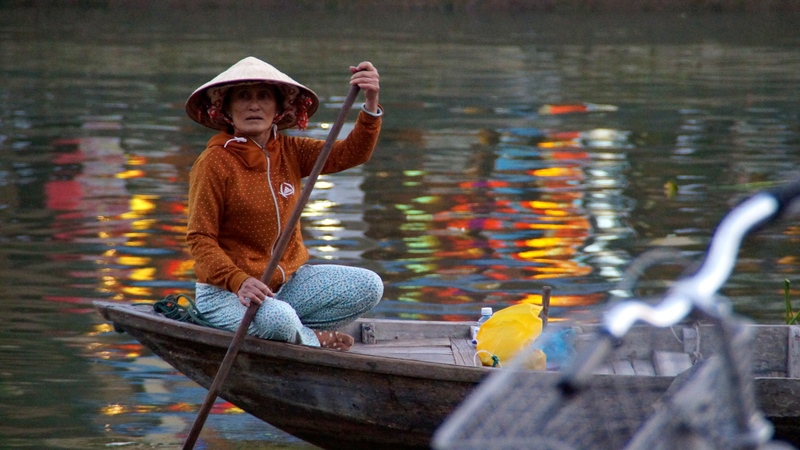 Up to 70-90% of the population of Hoi An work in the tourism industry. Many of the people I talked to were very open about hating it. And, sadly, this comes through in much of the service and interactions you will have here. As mentioned previously, the beach, while marketed as an ‘attraction’, is underwhelming. Between the erosion, pop-up businesses, and pressuring vendors, it does not make for a great day. And if you’re imagining ‘Caribbean’ beaches and water, you will be even more disappointed. Having said all that, I really enjoyed Hoi An, especially at sunset and after dark. 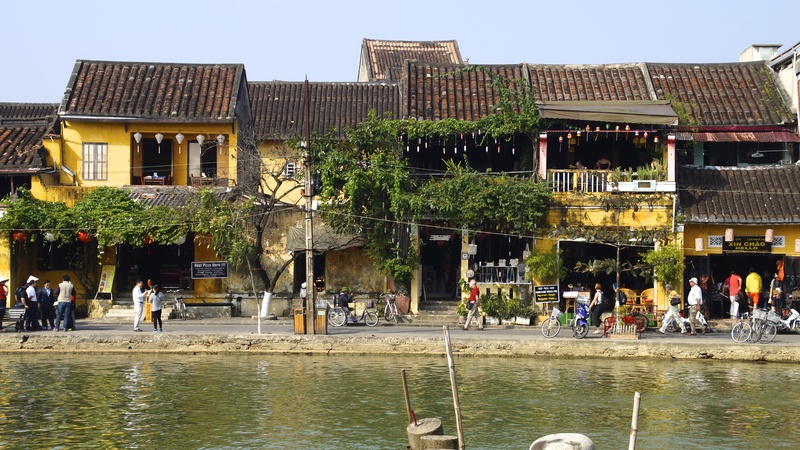 Anyone traveling Vietnam should strongly consider adding Hoi An to their itinerary. 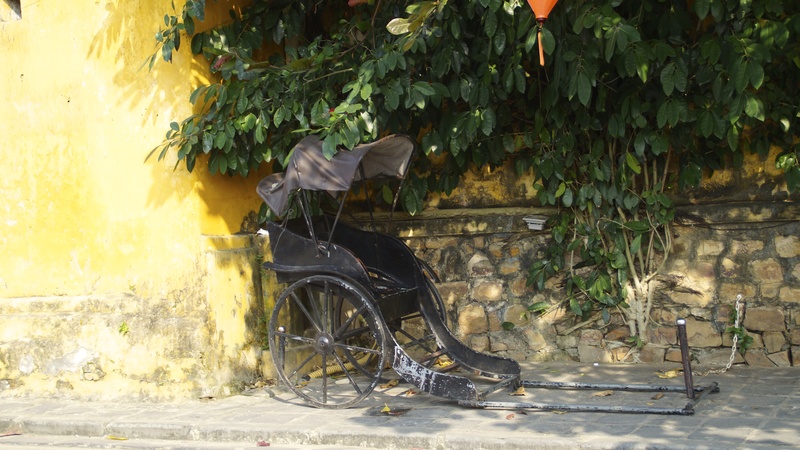 I’ll leave you with some more images of Hoi An. 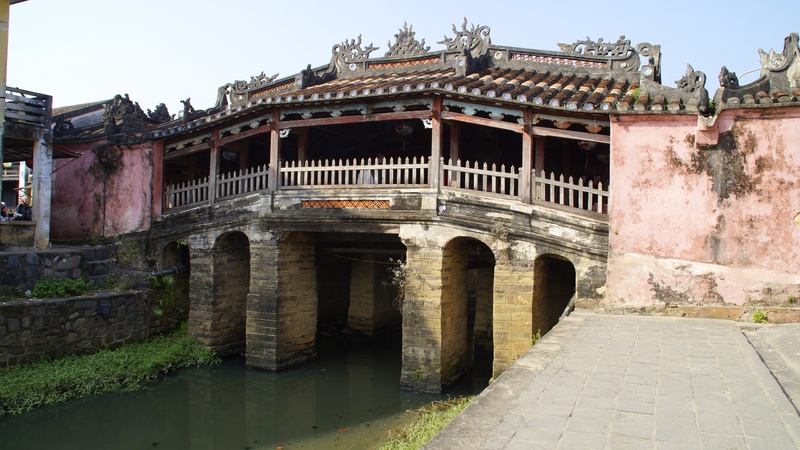 This entry was posted in Architecture, backpack, Food, Photos, Travel, Vietnam and tagged Architecture, Hoi An, Things To Do, Vietnam. Bookmark the permalink.